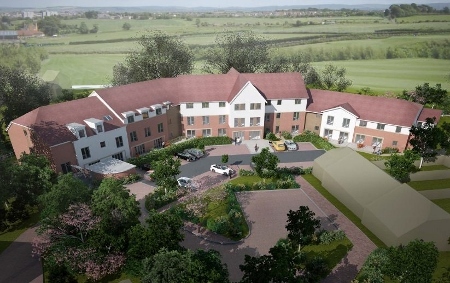 A ground-breaking joint venture aimed at creating a blueprint for the future delivery of mental health services has led to the construction of a flagship new step-down facility in Horsham, West Sussex. 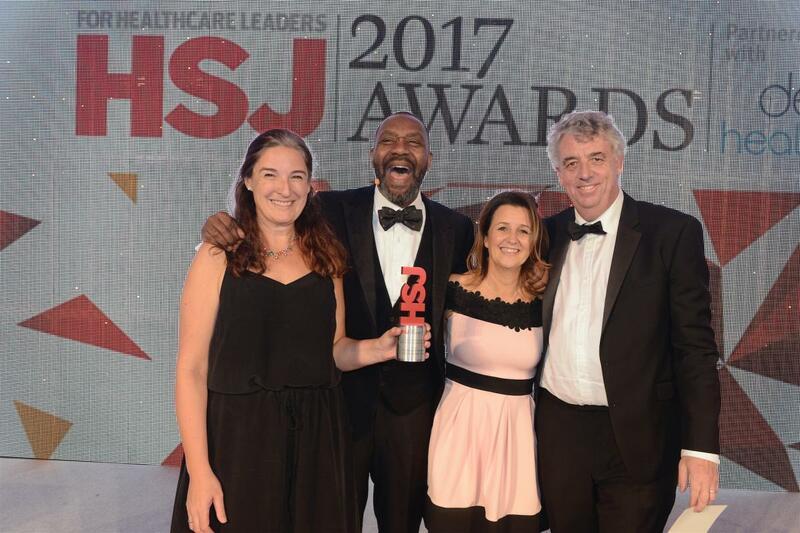 Care UK and Sussex Partnership NHS Foundation Trust have launched the Recovery and Rehabilitation Partnership, believed to be the first public-private coalition of its kind in the country. 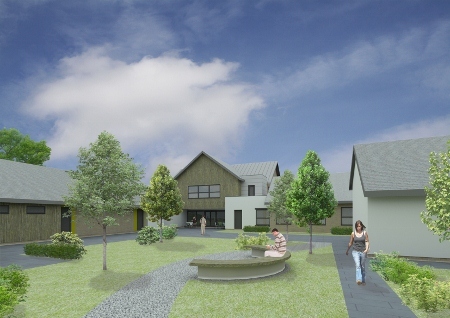 The organisation is currently working to develop a new residential facility that will focus on recovery-based care and help more people with mental health problems make the transition to independent living. 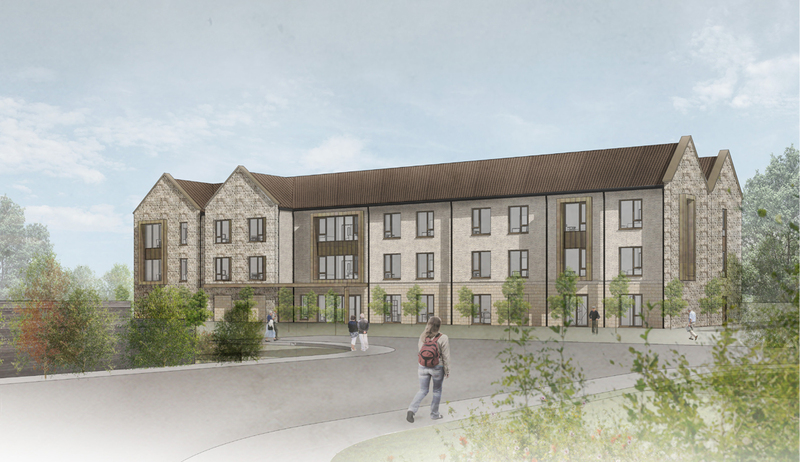 Providing a home for up to 24 people at any one time, the accommodation, which will open later this year, will be built around a central hub including flats and communal spaces, a bistro, offices and meeting rooms. 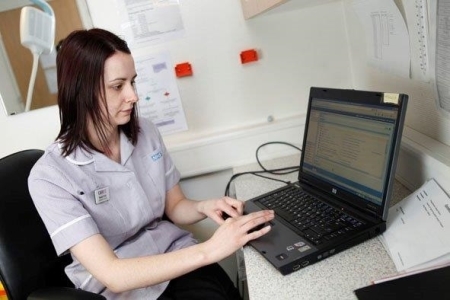 It is intended to fill an identified gap in the provision of rehabilitation care for patients in the area, particularly those who are ready to be discharged from hospital care, but would benefit from a period in a more sheltered environment before moving to full independent living. While living there, service users will be encouraged to live as independently as possible while being able to access any of the communal areas and services they require, for example visiting the bistro for a meal. 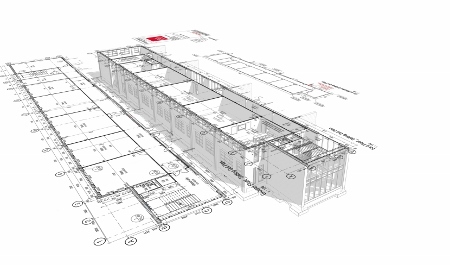 Alessandro Caruso from architects Gelder and Kitchen explained: “There is a lack of step-down facilities like this in the country, so we are creating a benchmark that we hoped will be followed elsewhere in the UK. With this in mind, the architects came up with a design that is homely, yet still makes service users feel they are supported. “There are different parts to the building,” said Caruso. “There is a main communal space that is also the entrance to the facility. This has a way in and a way out. This was an important design feature requested by users so they could see a progression in their treatment – in one door and out the other. “Further inside the facility there is an intermediate rehabilitation unit that is a step down from low-secure hospital treatment, offering eight beds with en-suite facilities and adjoining lounge and day spaces. While the courtyard design is one Gelder and Kitchen has used before in other locations, in this case they have taken it a step further and the bedrooms are arranged around a courtyard like flats. Inside these units, the fixtures and fittings are all similar to those that would be found in standard residential properties. Caruso said: “Is it all about encouraging users to prepare for life in the community and to develop like skills they have lost for some time when they were in hospital. 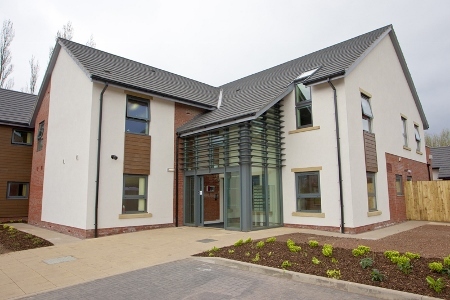 The facility is designed to enable residents to stay for three to five years, similar to extra care developments. “What we are doing is challenging all the existing guidance to arrive at a new concept that can be repeated at so many levels,” Caruso said. 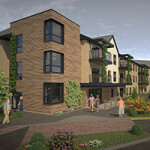 Work has already started on the site and the first residents are expected to move in towards the end of the year.